Eggs are about to make their way from breakfast to being a part of a balanced beauty regimen. No, seriously. 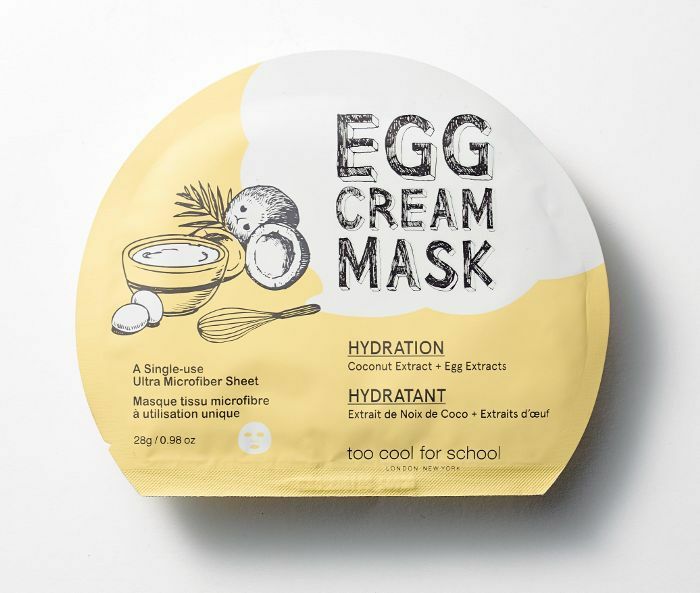 Too Cool for School is known for breaking beauty rules, and the brand took things to the next level with its new line of sheet masks. Each single-use product serves its own purpose—you can pick from hydration, pore tightening, and firming benefits—but the main ingredient in all of them initially blew our minds. So what’s the deal with egg cream making its way into your skincare? 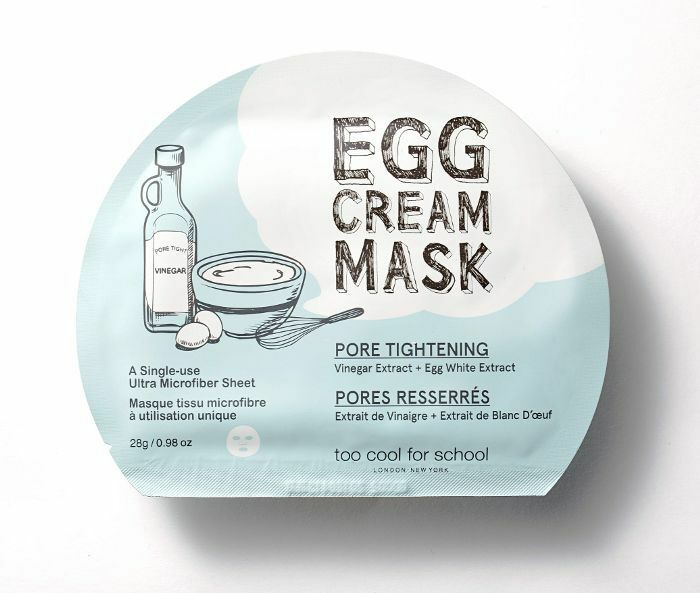 For one, there are no actual eggs being cracked into your sheet masks, but there are egg extracts found in these bad boys. Egg white extract has shown to help with brightening efforts while egg yolk extracts nourish and soothe the skin. And before you write off the idea, keep in mind that egg cream has been in Korean skincare products for a while, so this isn’t the first time the unique ingredient is being utilized. Want to learn more about these new sheet masks? Keep scrolling to read more. Each mask is a super-soft microfiber sheet that boasts different benefits. The coconut water–infused hydrating mask is ideal for all skin types from normal to sensitive and has brightening properties that will convert the biggest skeptic. Oily skin and enlarged pores are NBD for this clarifying mask. Its active ingredient trifecta of egg white extract, vinegar extract, and witch hazel will banish impurities and excess sebum. The high concentrations of hydrolyzed collagen and egg yolk target aging skin. In just 20 minutes, you’ll notice skin looking refreshed and plump. Who can turn that down? 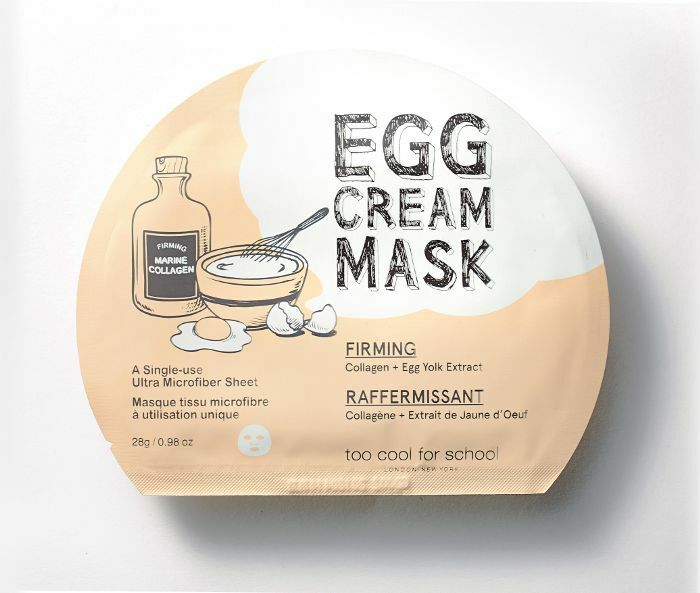 Would you give one of these egg cream masks a try? Tell us in the comments!